When you catch up with a friend you haven’t talked to in awhile, what’s one of the first things out of your mouth when they ask you how you are? Is it something along the lines of “good, but SO busy”? What if the most interesting thing about us wasn’t how busy we are? We live in a culture of more. So many people want to make more money, buy more things, and get more done. I often write and speak about productivity, and the question I get asked the most is “how do I do more?” Clients and audience members aren’t asking how to get more done in less time, they want to know how to fill in every last second of the day with action. But here’s the thing, just because you fill up your day with activities doesn’t mean that this is the most productive use of your time. At some point you’re going run out of focus and flip from accomplishing your to do list, to getting lost in a cat video binge fest or a non stop social media scroll. And then, on top of not making meaningful progress, all that busyness takes a huge toll on your mental health. The American Psychiatric Association reports that we’re 39% more anxious than we were last year, and yet we continue to expect to get more done in a day than can be accomplished in a month. And then we wear our busyness and lack of sleep as badges of honor. It doesn’t have to be this way. The minimalist culture is on to something. But we don’t only need to unburden ourselves from all the physical stuff, we need to let go of all the mental stuff too. We need to toss out all of the beliefs that being busy is a sign of importance and that our self worth is somehow linked to how much we get done in a day. Here are three ways to help you do just that. We adapt to the tribe of people that surround us. If all of those around you are crazy busy, then you likely are as well. The problem, however, is not only that we’re piling our plates sky high, it’s also the bragging and celebrating of the busyness. We compare who got less sleep and who’s had more caffeine. We talk about being slammed and treading water like those are somehow signs that we’ve arrived. But if we are constantly engaging in the busy oneupmanship then we are only giving busy more power. Break away from this social norm and try something different. If you completed a task in record time, share how awesome it was to have those extra free moments. If you’ve prioritized your sleep and self care – and now are happier and more productive, let your friends in on your secret. Be proud that you make down time a priority and aren’t overextending yourself, and brag about that instead. I hear a lot of people say the reason they are so busy is because they hate to say no, and when they do they feel guilty. While this is partly due to just being a nice person, the other part is that they haven’t defined good boundaries. Boundaries, on their deepest and most basic level, are a means for us to protect our values. If we value equality then we get upset when a group is marginalized. If we value our family, then we get upset when something takes us away from them. Many people have not really considered their core values and how to protect and stand up for them. What if, for example, you decided two of your values are family and personal wellbeing. If you were presented with an opportunity that would take you away from your family and would stress you out, it would be easy to say no to this opportunity. It clearly doesn’t align with your values. When you say yes to an opportunity, you are in fact saying no to something else. And that something else might be more important to you. If you say yes to every opportunity you’re presented with, you might end up not honoring one ore more of your values. Before you automatically say yes to the next thing, consider whether this activity aligns with your values or not. If it doesn’t, feel comfortable saying no. By saying no to this thing you leave yourself open to say yes to something that’s far more important to you. We all get the same 24 hours a day – but not everyone has the same responsibilities or goals. Because of this, no one can tell you which activities you need to clear out of your life to help release the busyness. Spend a moment to taking stock of what’s most important to you. List out your core values and examine how you are fulfilling them currently in your life. If one of your values is your health, but you’re so busy that you skip work outs and get takeout every night, what can you do to fix this? What is on your schedule that isn’t aligned with your values that you can drop? For some of you, this might be difficult. You might be aligned with all your activities, but you simply have too much on your plate. If you really can’t drop activities then look for places where you can delegate or ask for help. You will likely find that there are several people in your life that will jump in, if you simply tell them how they can help you. 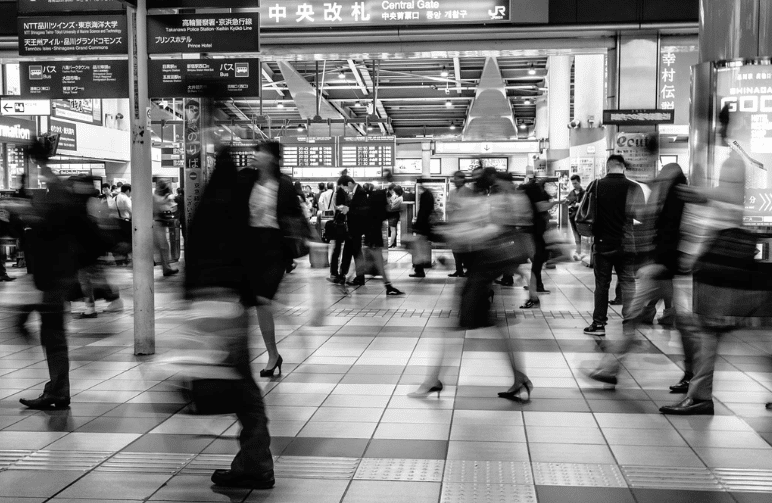 The culture of busyness is just that – a culture – and cultures can change. Imagine a society that wasn’t so overburdened by their activities that they had time to take care of themselves. A place where people weren’t constantly overwhelmed with their to do list, but were actually getting more done in less time. All of this is possible if we are willing let go of the idea that just being busy is a trophy in and of itself. Remember it’s not about doing stuff all the time, but about what you accomplished. It isn’t so much about racing through life as it is about enjoying the ride. Some much needed advice before finals week! Can you please elaborate more on saying no to things, in my experience it’s not easy, it’s in my nature to be a people pleaser.